First of all I would like to wish you all a Happy Christmas and best wishes for the New Year. There are a couple of trips coming up and the first of these will be on the 28th December and I propose meeting at the beach cafe at Godreavy where we can have coffee before going off to photograph. I don't know what the tides are like and its too early to determine the weather but hopefully both will be ok. If the weather is particularly bad it maybe best to cancel. So if those of you that are interested in going would let me know I can telephone you the day before to confirm everything. The next possible trip is to Bodmin and Wenford railway on the 31st December when the railway is open to the public. As some of you may be aware, Peter Tandy has a connection with the railway and has suggested there might be a possibility that a small group of us could go in early beyond the public area to photograph the steam engines being prepared for the day. Peter is looking into this and I shall let you know if this is possible. Again if you are interested in this early morning start let me know and I will put you on a short list in case it can go ahead. If not there are still plenty of photo opportunities during the day in the public area. In the previous email I mentioned a possible trip to London and Lindsay has put forward an itinerary which I have attached. Basically we would go up on Saturday 18th March and return Monday 20th and staying in the Premier Inn London Waterloo. If you are interested in this trip please let me know as soon as possible as early booking is very much advised although I will leave individuals to book their own train fare and accommodation. Indeed, you may wish to come along but stay on longer. This should be a good trip as there are several photography related exhibitions well worth seeing as well as opportunities for night photography, street photography etc. Hope you have plenty of photo opportunities over Christmas. Don't forget our trip to Plymouth this coming Thursday on the train. Between 5pm and 8pm on the following dates: Fri 16, Sat 17, Sun 18, Mon 19, Tue 20, Wed 21, Thurs 22 and Fri 23 December. And between 5pm and 7pm on the following dates: Tue 27, Wed 28, Thurs 29 and Fri 30 December. If you go don't forget to take your tripod. Don’t forget our trip to Plymouth this coming Thursday, meet on the platform at Lostwithiel for the 10.45am train. We have been looking at some forthcoming events and the first of these could possibly be an impromptu beach trip, perhaps to Carbis Bay, to take some beach photography, windsurfers as well as the local landscape. We will look at tides and give one or two dates so if you are interested please let me know. 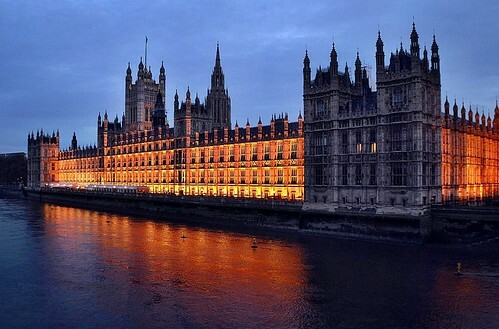 Lindsay has recently returned from a trip to London and has suggested this could be a group trip. We could perhaps go up Sunday and come back Tuesday or whatever suits you and visit one or two of the exhibitions. Lindsay particularly recommended The Radical Eye PhotographicExhibition at Tate Modern. These are images from a collection gathered by Sir Elton John and feature the work of many great photographers. It is a must see. Also, the Taylor Wessing portrait competition on at The National Portrait Gallery and there is of course The Wildlife Photographer of the year exhibition. 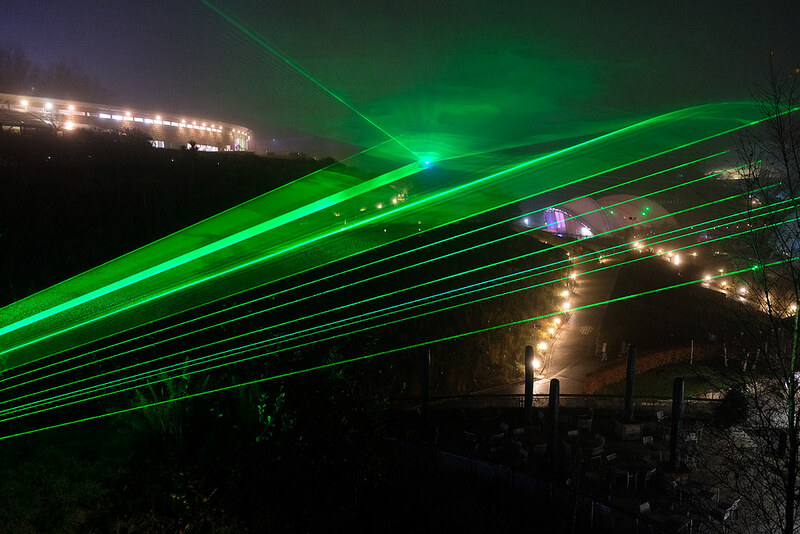 We anticipate going in late March and I would like to know as soon as possible how many of you would like to go to take advantage of essential early bookings both on the train and accommodation. Lindsay has suggested the new Premier Inn by the London Eye which would be a great start for doing evening photography. Finally, if I don’t see you on the Plymouth trip next week or the beach trip over Christmas then I wish you all a very Happy Christmas and prosperous New Year and look forward to seeing you at our next platform meeting on January 19th. It was a good turn out at the last platform meeting with an excellent range of photographs on the Autumn colours theme. I gather you had a good, rather windswept day at Bude last week and again I am sorry I was not able to come along. 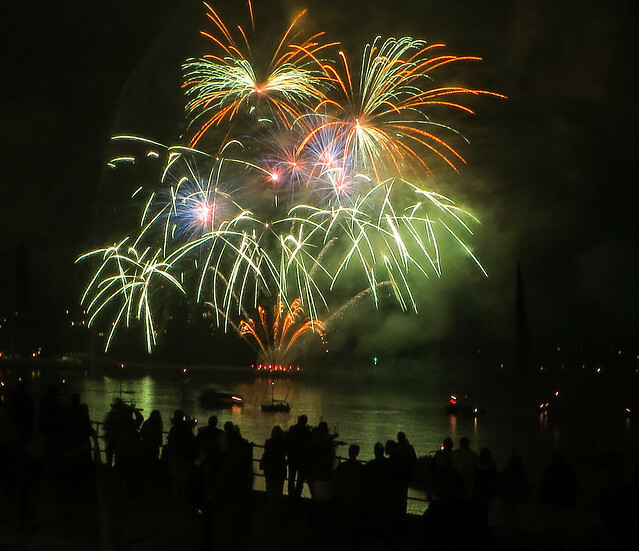 Our next field trip will be on Thursday 15th December when we are taking a trip into Plymouth on the train. The train times are not particularly good in the morning and rather then make a crack of dawn start, I would suggest getting the 10.45 train to get us into Plymouth at 11.27 when there will be more people around. or 20.26 arriving 21.19 as some of you may want to stay on as it is late night shopping in Plymouth. Some of you went on David Chapman's weekend trip recently and Carla Regler helped out for a short time. I have contacted Carla and she would be happy to give us some of her time on a Thursday next spring. Whilst she is happy to take a reasonable sized group I suggest we limit the numbers to 8 or 10 and if you are interested please let me know and I will put you on a list first come first served. As Carla's gallery is in Porthleven we felt it was probably best to spend a day there. As regards cost she has suggested a donation of £10 which will include coffee and cake which seems something of a bargain to me. I will also look to arrange a studio day with help from David Penprase in the New Year. I will of course be organising further days with David Chapman and Ross Hoddinott so again of you are interested in these please let me know and I will start putting some lists together. Look forward to seeing you all on 15th December on the platform ready for a trip into Plymouth. Don't forget there is no normal platform meeting during December, the next meeting in the platform office being on 19th January when our theme will be 'Winter scenes'. 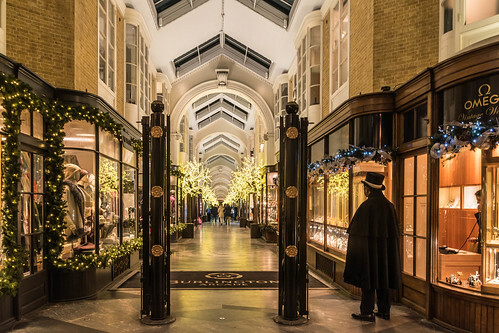 Keep taking the photographs and don't let the winter weather stop you taking your camera out. I gather you had a good day a Respyn and Lanhydrock last week and my apologies for not attending. Thanks to Jennie M for leading the group. Our next meeting at the platform will be on the 17th November and you will remember Jenny E suggested bringing back themes for photographs on these occasions. The subject this month will be 'Autumn colours' so if you haven't already been out with your camera i suggest doing so as soon as possible. The theme for our January meeting (there will be no platform meeting in December) will be 'winter scenes'. Our next field trip will be to Bude and I attach a field trip sheet and suggest we meet at 10am at Summerleaze Car Park EX23 8HJ. I am certainly not an expert in Adobe photoshop and Lightroom and tend to deal with my photographs in a fairly simple way. Therefore, I cannot always answer your questions. However, I would recommend looking on the internet and a particularly good set of instruction videos by Adobe is taught by Julieanne Kost (www.jkost.com). The videos are very comprehensive and deal with the various aspects of photoshop and Lightroom in small sections. For December don't forget Dickensian evening on the 8th and our field trip to Plymouth on the train on the 15th. I had suggested we could possible have a Christmas lunch whilst in Plymouth but I've had only 2 responses on this suggestion so will take it no further unless there is a sudden flurry of interest. Keep taking the photograph and don't forget our forthcoming themes - Autumn colours and Winter scenes. Look forward to seeing you all at the platform on 17th November and Bude on the 24th. arranging this. I would certainly recommend it and will be going again in the Spring. It was a great photo opportunity. Photo of Harvest Mouse taken at Westcountry Wildlife Photography Centre. Click on image for larger view All rights reserved by Lindsay Southgate. We also had another fantastic day with Ross Hoddinott yesterday and I have arranged another day with him for Friday 18th November. There are one or two places left so if you are interested let me know as soon as possible. Our next third-Thursday meeting is at the Platform Office on Thursday 20th October, with a field trip to Respryn and Lanhydrock the week after on Thursday 27th October. I am sorry I could not make the trip to Tintagel yesterday but gather ten of you attended and had a good time. From the photographs I've seen it certainly looked like you were lucky with the weather. Our next meeting at the Platform Office will be on Thursday 20th October and as usual please bring some photographs along. As mentioned at our last meeting, I would like to try and make more of the third-Thursday meetings and include practical work or local field trips. I am putting together a programme for the meetings next year and will issue this when I have got a little further with it. Our next field trip will be on Thursday 27th October to Respryn and Lanhydrock (Details here). After that, on Thursday 24th November there is a trip to Bude, and then our December field trip on Thursday 15th December to Plymouth on the train for some Christmas/street photography. That will be our last meeting for this year, but I have put together a programme for all of next year. As mentioned previously, this is provisional and if anybody has other ideas or wants to change anything then please let me know, but I thought it would be worth doing some long term planning this time. I look forward to seeing you at the next Platform meeting and in the meantime keep taking plenty of photographs. A number of our members are interested in going to Westonbirt / Stourhead but mostly in their own transport, so only a few would go as a group on a coach. The local U3A Garden Group have expressed an interest in going, but again the numbers would not warrant hiring a coach. I would therefore propose postponing the trip until next year, if there is sufficient interest. I would like to thank David Platt for his research on this trip, which has been very helpful. Therefore, for our October field trip I would suggest something local. I have put Lanhydrock and Respryn for Autumn colours in the calendar, unless, anyone has suggestions for elsewhere. Next year I am going to try and arrange for more activities on our third-Thursday Platform meetings, perhaps not always meeting at the Platform but having additional field trips, as I now have a lot of ideas given to me for next year. One final point, I have provisionally arranged another day with Ross Hoddinott, this time possibly on Friday 18th November subject to confirmation. This could be a trip to Dorset, and as it is a Friday some of you may wish to stay over. I have interest in this trip but if you would like to put your name down, please let me know as soon as possible so I can confirm details and timing with Ross. I gather you had a good day at Kennall Vale and many thanks to Claire for leading the trip. I have seen some of the photographs you have produced and whilst I am sorry I could not get there, will try and get there another time if anyone is interested in coming along. Several Group members have uploaded photographs to our flickr page. Here is one of Jennie Mursell's. I am still trying to sort out a Westonbirt Arboretum trip. Many thanks to David Platt for his help and research here. Another option that is a little nearer is Stourhead House and gardens (National Trust) in Wiltshire, in lieu of Westonbirt. If you already haven't done so, would you please let me know as soon as possible if you are interested in going to Westonbirt Arboretum or Stourhead. Once I have a firm idea of numbers we can then arrange the most appropriate form of transport. It has also been suggested that if there are not sufficient numbers from the Photography and Garden Visits groups, we could open it up to other groups within the U3A. Attached is a preliminary schedule for forthcoming trips, so we can plan well in advance and change things around as need be. Our next meeting at the Platform Office is Thursday 15th September, when I look forward to seeing you and your photographs. Thereafter it will be our field trip to Tintagel on Thursday 22nd September. A field trip sheet for this is attached. For those of us who use Fuji cameras, I have arranged a workshop for Wednesday 7th September for 4pm at Lanlivery Cottage. Please confirm if you would like to come along. Finally, attached is a provisional calendar with ideas for 2017. I have been looking into how we arrange this trip, and many thanks to David Platt for his help and for doing the research on travel arrangements. First of all, would you please let me know as soon as possible if this is a trip you are intending going on. The trip does not have to be on our usual third Thursday and could be any day (subject to availability of the minibus/coach). I am thinking of a period, say, mid-October to early November. I know some of you may well be going under your own steam, so I am really looking for those who would like to go as a group. I need to know numbers to be able to determine the mode of transport, and I believe the Garden Visits Group are also interested in coming with us. If we can fill the Lerryn minibus (17 people plus driver) then the cost would be about £30 each for transport and another £9 for admission to the Arboretum (a little less is we book beforehand). David is looking into other transport, such as hiring a larger coach if need be. If you would kindly let me know your intentions then I can get a better idea on costs and arrange something. Good meeting at the Platform on Thursday and thanks for bringing your photographs. We talked about field trips for next year and attached is a list of possible venues that I will work on over the coming weeks. If anyone has any ideas then please let me know and I can start to put together a calendar for next year. I will also look into another day or two with David Chapman, which has proved very popular, and if there is sufficient interest also a day with Ross Hoddinott. Claire Wilson helped us with the food photography day and i will see if there is anything else she would like to have a go at as well. Our next field trip is to Kennall Vale, led by Claire, and a field trip sheet is attached. On the day, please park in the village and walk up towards the site, as parking is very limited there. Our September field trip will be to Tintagel. A field trip sheet for this is attached. Some of you who use Fuji cameras have put forward the idea of a get together to help each other with the system. I am more than happy to do this and would suggest the following possible dates: Wed 31st Aug, Thu 1st Sept, Fri 2nd Sept, Tue 6th Sept, or Wed 7th Sept. If you would let me know which of these best suit then we can arrange to meet, perhaps late afternoon rather than evening so we can go out and take some photographs. I look forward to seeing as many of you as possible next Thursday. I believe Kennall Vale will offer plenty of photo opportunities. Ten of you turned up for the David Chapman day at Windmill Farm Nature Reserve, and many thanks to him and Adrian Langdon, who also came along. I gather it was a very worthwhile and enjoyable time, and I am sorry I was not able to come along myself. I will try and book another day with David at some point in the future. Our next meeting will be in the Platform Office on Thursday 18th August at 2pm, so as usual please bring along photographs for us to look at. I would also like to discuss ideas for field trips next year, so that we can get some early planning. Claire is a professional photographer and I am sure she will give us plenty of ideas and guidance. Claire has details of photo opportunities available at Kennall Vale on her website. I look forward to seeing you at the Platform next week, and in the meantime please sort out some photographs to bring along. The last field trip was to The Garden House at Buckland. Lynda, Jasmina, Jane, Peter, Roland and Mike went along, and Lynda says, "it was necessary to sample to lovely cakes before we started and the rain had just about stopped when we ventured outside. I think we all got some good raindrop photographs. After lunch it was dry and there is so much to see there, the garden looked lovely." So many thanks to Lynda for leading this trip. 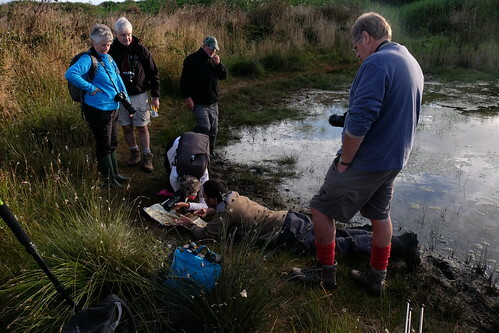 Next Monday 8th August is the outing to Windmill Farm Nature Reserve at The Lizard, guided by David Chapman. I have already paid David, so if you would let me have £10 cash on the day that would be good. If there are more people coming than anticipated then any additional money I would of course pass straight on to David. Just a reminder there is an early start at 6am, and for those who would like a more leisurely start another at 10am. Here is the website with directions to Windmill Farm: http://www.cbwps.org.uk/Windmill%20Farm.htm. David said to go down the farm track, past the large blue flower pots, and meet in the car park at the end of the track. Make sure you bring good footwear on the day. If there has been heavy rain then wellington boots are recommended. We had a great day out with David Chapman at Lands End last year, so I look forward to seeing you all again at Windmill Farm. After that, our next Platform Office meeting is at 2pm on Thursday 18th August, so please bring along any photographs. Our next field trip is on Thursday 25th August, when Claire Wilson will be taking us on a trip to Kennall Vale - field trip sheet here. I have one, possibly two, spaces for this trip. We have limited the number to eight people to give the best viewing possibilities. The cost will be £48 and I would need a deposit of £24 in the next week or so. If you are interested then please let me know by return, and I will put your name on a first-come-first-serve basis. Here is the link to the WWPC website. Our last field trip was to photograph the poppies at West Pentire. Thanks to Jenny E for arranging this and leading the group. Unfortunately I was not able to attend but gather that whilst the poppies were a little sparse, the weather was good and the most was made of it photographically. Caroline and I led a field trip on Thursday to Geevor Tin Mine on behalf of Newquay U3A, with a few from Lostwithiel coming along as well. This turned out to be a good day weather-wise with much of the day spent going around the mine buildings, and then a trip to Botallack to photograph the cliffside engine houses. Impressions of Geevor Mine - Wheels within wheels under a grey Cornish sky. 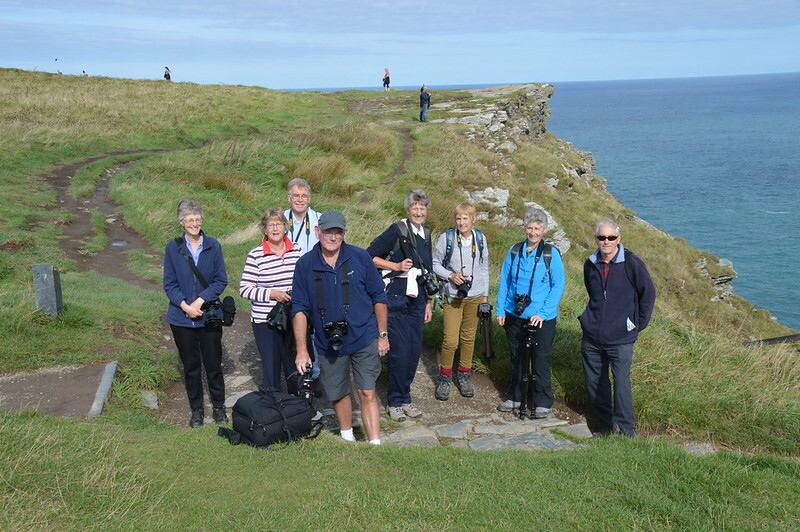 It was good to meet the Newquay U3A Group and hopefully we will be able to share other trips in future. A good trip for classic machinery and characters is Boconnoc Steam Fair on 29th, 30th & 31st July. See website http://www.lsvc.org for more details such as admission prices etc. Some of you went on the second Ross Hoddinott day yesterday and I gather this was very good as usual. There will be another one in September, although this is already fully booked. 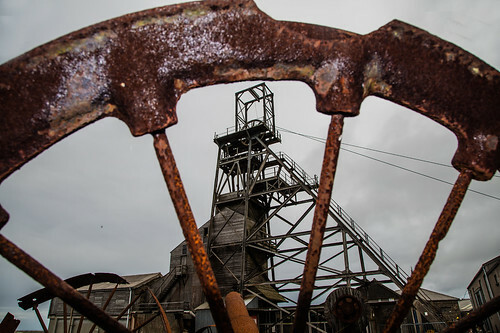 Our next field trip will be next Friday 30th June to Geevor Tin Mine (Details via this link.). As this it a fair distance, I would encourage car sharing. My feeling is that on the day we could spend the morning at the mine and perhaps have lunch at the cafe, and then go along the coast to give a good variety of photographic opportunities. The day after our trip on Monday 11th July to Marsh Villa Gardens in Par we have a bonus field trip to Breney Common on Tuesday 12th July. We have been here several times before and it is great place for photographing dragonflies, wild flowers, etc. 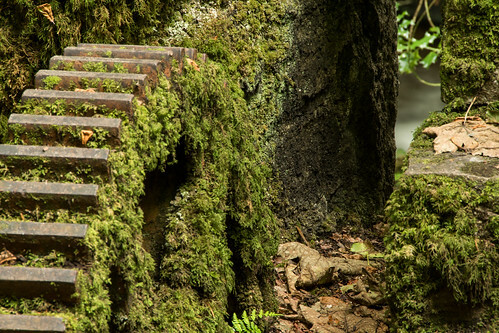 It is also one of the places to find sundew, so bring your macro lens. A field trip sheet is attached. If you have any queries regarding any of the above, just get in touch. In the meantime I look forward to seeing you all soon. It was great to see so many of you at our food photography afternoon yesterday, and many thanks to Claire for helping us out with her expertise, it was much appreciated. Just to update you on some forthcoming events. There is still a space available on the Ross Hoddinott trip next Tuesday, and if anyone is interested please let me know straight away. 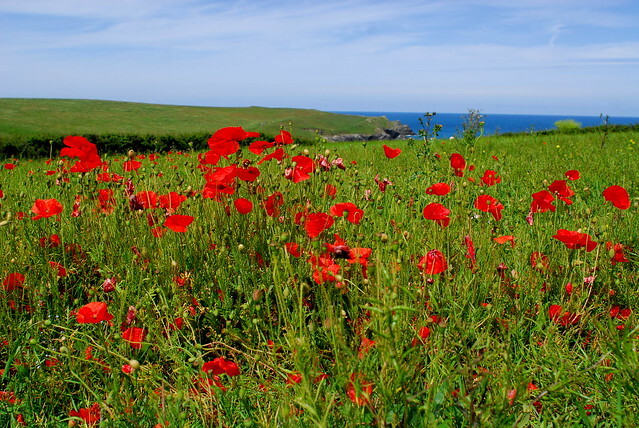 Our next field trip is on Thursday 23rd June to photograph the poppies at West Pentire. This is being run by Jenny Edrich and a field trip sheet is attached. The following week, on Thursday 30th June, we have a bonus trip to Geevor tin mine. This will be for Newquay U3A Photography Group but you are all of course welcome, and I hope to see many of you there. Details via this link. You may have seen in the local Lostwithiel Community newsletter that there is to be a guided walk through Luxulyan Valley on Sunday 10th July, arranged by Friends of the Fowey Estuary in partnership with Cornwall Butterfly Conservation. This will include a walk in the valley as well as the wild flower and butterfly paddocks. The meeting time and place is at 11am at Blackhill car park by the viaduct (OS ref: SX05957). 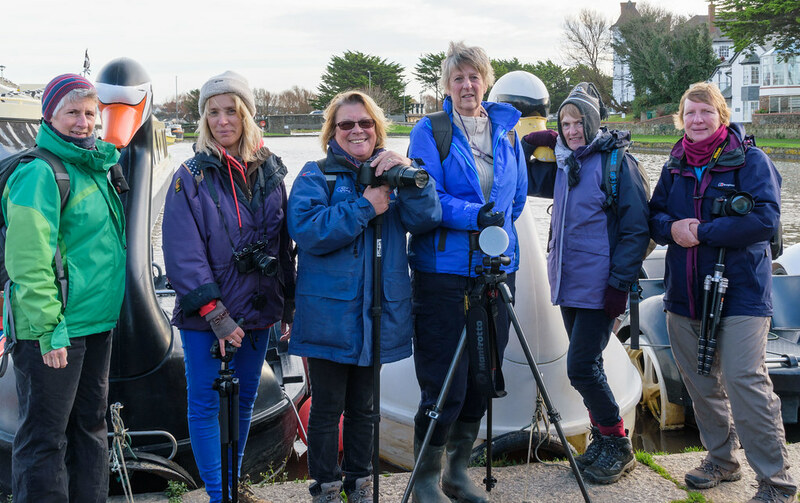 The charge is £2.50 for non-members (free to members of FotFE) and they advise wearing sensible footwear and to bring a packed lunch, as the guided walk ends at 3pm. For more information the advert suggests contacting Margaret on 01726 833780. After that, the next field trip will be on Monday 11th July to Marsh Villa Gardens in Par. This will be run by Reuben, and again a field trip sheet is attached. Our next third-Thursday meeting on Thursday 21st July will be at the Platform Office (not the Royal Oak). We had moved to the Royal Oak as the Platform was becoming a little cramped for all the people attending, but this seems to be somewhat variable so we are trying the Platform Office again to see how that goes. Please bring along your photographs from recent field trips or anything you would like to talk about, and I can show them on our new projector that is substantially improved over my previous offering. I also mentioned the Westcountry Wildlife Photography Centre, which is booked for Tuesday 27th September. In speaking to others, whilst the Centre suggests groups of 8-12, this can a bit crowded. I have therefore decided to limit the number to 8 at maximum. If need be we could run more than one trip. I have a rather short shortlist for this day out, and would like to confirm the booking within the next week or two. So if anyone else would like to go to Westcountry Wildlife Photography Centre, please let me know. In the meantime, I attach an updated field trips calendar has been added to the top of this page. Whilst we only halfway through the year, I will start to be thinking about our 2017 calendar, so if anyone has any particular ideas or wishes then let me know and I will do my best to include them. 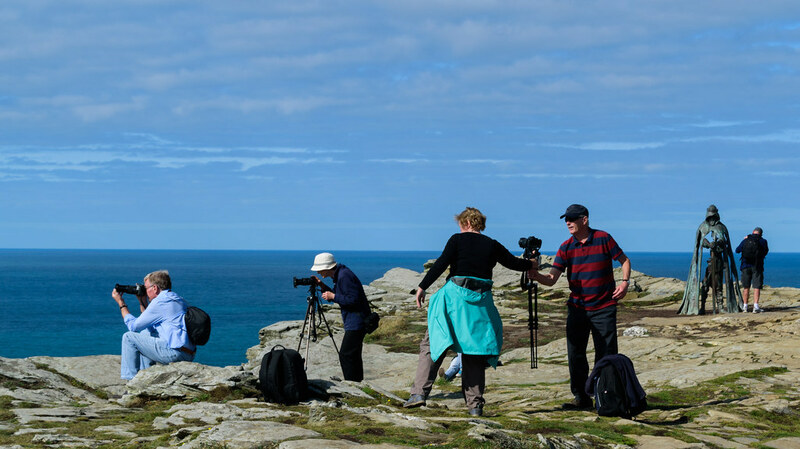 There is a Ross Hoddinott day next Tuesday (21st June) on Dartmoor, but one of those participating has had to pull out so there is a space available. If you would like to take up this opportunity then please let me know as soon as possible, by Thursday at the latest if you can. Please call me if you want to find out more on 01208 871100. 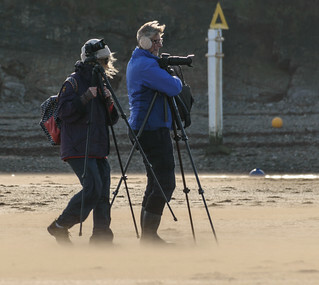 Secondly, I have been speaking to Jennie Barnes who also runs the Newquay U3A Photography Group. She has suggested a joint visit to the Westcountry Wildlife Photography Centre. This is something I mentioned some time ago and there was interest from a number of you. The cost for a day is £48.00 per person, a minimum of eight and maximum of twelve in the group. If there are less than eight then they will still run it, but at a slightly increased cost per person. Jennie has provisionally booked this for Tuesday 27th September and I have said we will confirm this within two weeks. Therefore, please let me know if you would like to take this opportunity and I will put you on the shortlist. If the trip goes ahead we will need to give a 50% deposit when confirming the booking. First of all, I must apologise to those of you who were due to go with me on the Lethytep trip but which I cancelled. I had gone on the basis of the weather forecast indicating heavy persistent rain all afternoon, but as it turned out we did not see a drop of rain until about 5pm, at least here in Lostwithiel. Waterlillies at Lethytep by Lindsay Southgate. This Thursday 16th June is the food photography afternoon at Lanlivery Cottage, so do make sure you bring your cameras and tripods. This will be run by Claire Wilson and I attach some notes she has made. We will provide food and props to photograph, but if there is anything else you would like then let me know and we will do our best to accommodate. it would be useful to know who will be coming so we can make some forward planning. If you are definitely coming then please email or telephone me. If you haven't yet made your mind up then don't worry too much, as we will try and make some contingency planning. For those of you who have not been to Lanlivery Cottage, give me a call on 01208 871100 and I will give you directions. The next event will be on Tuesday 21st June for the second group's Ross Hoddinott day. Those of you who have booked will no doubt have been contact by Ross, and if you have any questions then please contact me and I will do my best to help. That same week on Thursday 23rd June is our field trip to Crantock to photograph the poppies and wildflowers, arranged by Jenny Edrich. Jenny has confirmed the timing is about right for visiting West Pentire. Please note the car park is not free, so you will need to bring some change for the machine. Also, if you need to speak to Jenny about the trip beforehand, please use her landline number (01208 873349) rather than her mobile number. Jenny has also asked if she could have an indication as to who is going, so she knows who to wait for. A field trip sheet is attached. I look forward to seeing this Thursday for our food photography afternoon, and if you have any questions about that please call me.